Following Monday's announcement that master fiddler Ivor Ottley will be back in Ireland from 12 to 19 December, thanks to Pete Lamb in Co. Galway for the news that Ivor will be playing at the Crane Bar, Sea Road, Galway, on Friday 14 December with the band Gone to Grass (Pete, guitar; Tom Portman, resophonic guitar; Paddy Jordan, bass). Admission is free. 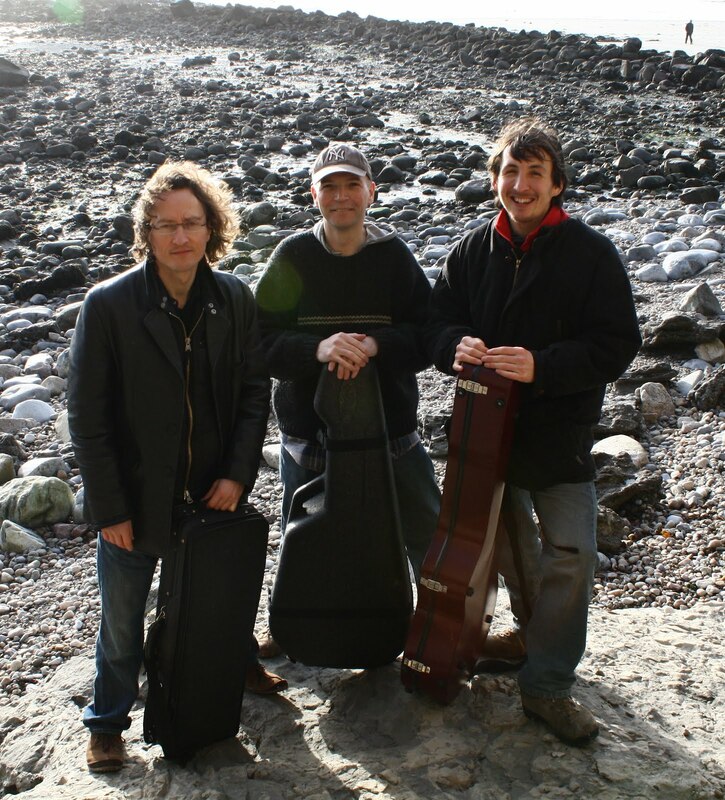 Gone to Grass are recording an EP at the moment,and other gigs are being arranged for the period of Ivor's stay in Ireland. 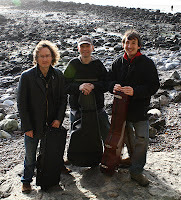 The photo shows (l-r) Ivor, Pete, and Tom. Update 31 Oct.: Please note also the additional date shown in the comment just received on this post - Tuesday 18 December at the Mill Bar, Sixmilebridge, Co. Clare. More dates will be coming along in due course.